I know a young woman who works in a public library — let’s call her Vicky — who is one of the smartest people I’ve ever met. She’s caring, considerate, and an absolute whiz at research. She’s well spoken and easily inspires others… one day, she’ll make one hell of a library manager. Except that will never happen because Vicky doesn’t have an Master of Library/Information Science (MLS/MLIS) degree. Despite the fact that Vicky is one of the most talented librarians I know, she can’t refer to herself as a “librarian” without being reminded by MLS degreed librarians that she doesn’t have her degree. Vicky works within a system designed to keep her in her place. Her skills and talent are overlooked because her supervisors believe she’s not qualified to participate in committees, projects, or decisions. Oh, and without the MLS, she’ll never be eligible for a promotion. I can’t think of a better way to destroy an organization than to create an environment in which young, passionate, talented employees feel suffocated by rules and have no potential for advancement. But, this isn’t just about one organization — it’s about how our profession has used the MLS as a tool to suppress talent across the entire industry. 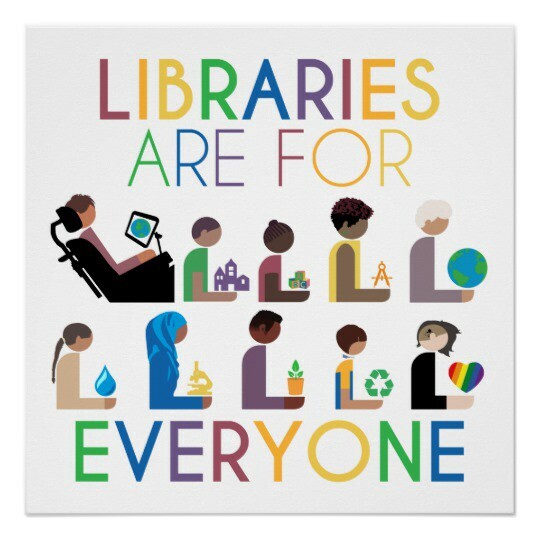 Do you think it’s a coincidence that the vast majority of librarians are white, or do you think it’s due to a tradition of racism in our country which has denied generations of people of color from accessing higher education? Asking for a friend. Via DataUSA. Also see ALA Demographic Survey (2017). Really, is there *no* other degree that qualifies you to work in a library? Via DataUSA. Isn’t this a little weird? The MLS is prohibitively expensive, but you can’t move up without it. And even if you get the degree, you’ll never pay off your student loans because it’s so difficult to find a job. And even if you find a job, if you’re a woman, you’ll make 18% less than your male colleagues. This situation screams at young people… run. RUN!!!! See ALA Demographic Study (2017). From the library schools that make money off of graduating students en masse, to the HR departments which dictate strict hiring standards for libraries, to the professional organizations that reinforce the archaic belief that degrees trump skills… the MLS Machine makes the rules, and we follow. But it’s clear that today’s workforce demands skills, not degrees. The tech industry has felt this shift more deeply than most, as code schools have become more attractive to future tech employees than degrees in Computer Science. Since their education is tailored specifically for needs in the job market, code school graduates are arguably more qualified to begin entry-level developer positions than their CS-degreed counterparts. Imagine if we stole the code school model of education and applied it to the library profession. What if future librarians could take an intense 12 week course for a few thousand bucks, in lieu of an MLS? Imagine all the cool people who might chose librarianship as a career. Imagine what else we could disrupt together to truly make libraries and librarianship for everyone.